Fits all E60 2WD except M5. H&R Sway Bars are the perfect compliment to H&R Springs, Coil Overs, Performance Shocks and Cup Kits. Designed to reduce body roll, increase lateral stiffness and improve handling, H&R Sway Bars are crafted from a special 50CrV4 spring steel that is both stronger and more resilient than competitive sway bars. 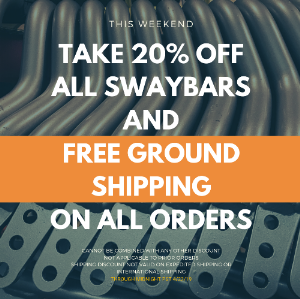 H&R Sway Bars are bent on proprietary machines designed by H&R that seamlessly produce beautiful complex curves making H&R Sway Bars a perfect fit for your vehicle. All H&R Sway Bar kits have been shot peened and heat treated, and feature precision forged ends - many applications have multiple end link mounting points for adjustability. Also included are H&R exclusive bushings made from a Urethane / Teflon composite that eliminates squeaks, and don't require lubrication. Ever. That means no mess, no maintenance-just bolt in H&R Sway Bars and go! 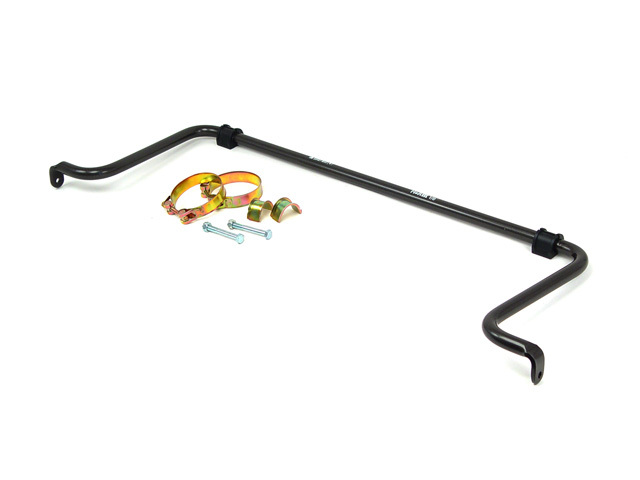 Like all H&R components, H&R Sway Bars are 100% made in Germany, and are powder coated for long lasting good looks and durability on the street and track.